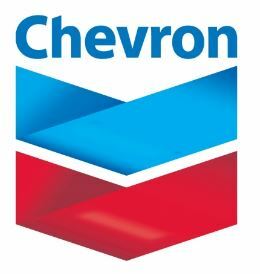 Chevron recruitment 2017 is accepting online applications for the position of Risk Control Analyst located in London / UK. Risk Control has support functions in the three major trading hubs; Houston, Singapore and London. Risk Control’s primary responsibility is to independently identify, measure, monitor and report the performance of Supply & Trading and ensure compliance with relevant policies. Prepares accurate and timely daily management reports for volumetric exposure and mark-to-market profit & loss for Crude, Product and Gas trading desks. Provides meaningful commentary to Management highlighting the underlying reasons for position and P&L fluctuations. Identifies potential improvements to risk measurement models and analytical tools to enhance the analysis and monitoring of market risk exposure. Identifies trading activity that creates exceptional market risk or causes significant changes to trading risk profiles and alert management. Assists with the set-up of strategies, price curves, product locations and trading instruments in the trade capture systems. Provides training on Risk Control concepts to Traders and Trading Analysts. Performs analysis and reporting of commodity trading activities per established limits and controls. Where breaches are identified, report to Supply & Trading and Risk Control Management as required. Participates on various projects and initiatives. Performs user acceptance testing to ensure system enhancements are working as intended. Degree qualified in Economics/Finance or equivalent. Experience in the commodity trading industry and knowledge of Openlink Right Angle and Endur trading systems preferred. Ability to work in a diverse environment and across different time zones. Ability to communicate in a clear and concise manner at all levels across the organization. Ability to perform analysis on large amounts of data and identify trends/issues quickly. Experience of modelling, Monte-Carlo simulation techniques, Greeks, pricing models, stress testing, VaR concepts. Application Deadline: 11th January 2017 at 11:59 p.m.